At the bottom of Plagne 1800, it is just 100m from the chairlift out of the village and you can ski directly back to the chalet. Chalet Mont Blanc is a 10 minute walk from the village centre. 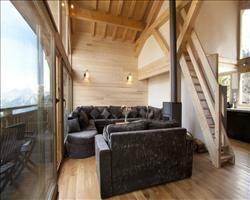 Chalet Mont Blanc (Sleeps 11), Chalet Mont Blanc in la Plagne 1800 was built and is fitted out to a high standard. The open plan living and dining area on the top floor of chalet Mont Blanc has large picture windows with amazing views all the way to Mont Blanc itself, 25 miles away. There are two balconies; one is east facing to take advantage of the morning sunshine and the other is west facing with views of the adjacent pistes coming back to Plagne 1800. There is plenty of comfortable seating around the log burning fire. 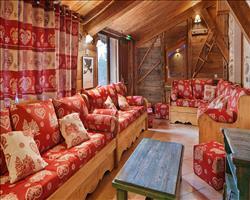 Chalet Mont Blanc has five bedrooms all with full en-suite facilities, three with balconies. 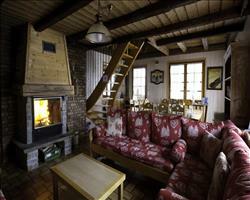 The chalet has a sauna and its own ski and boot deposits with boot warmers. Additionally, Chalet Mont Blanc has been built to high ecological standards: amongst other features there is a bio-mass heating system that is zero-rated for emissions purposes. Rooms 2, 3 & 5 can take a cot. If booking the whole of Chalet Mont Blanc, an additional child's bed can be put in room 3. For a quote please contact our office. We update Chalet Mont Blanc's details often, but facilities do change. e.g. some extras listed by the supplier as "free" or included might only be for the first time you use them, or for one time per party, then charged for further use. If any specific feature is essential to your holiday, make sure you ask us to confirm the details of it before you book your holiday. 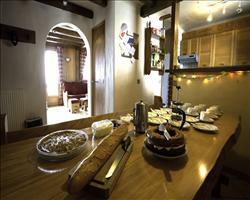 This accommodation only holiday to Chalet Mont Blanc in La Plagne, France departs Saturday 14th December 2019, for a 7 night stay on a "catered chalet" board basis. A local tourist tax (Taxe de Sejour or Kurtaxe) is levied by many councils in European ski resorts. It varies by standard and type of accommodation and is age dependent, so not everyone is charged. It's not included in the basic price of your holiday and is usually paid locally. For reference, the average charged in winter 15/16 was between 50p and £2 per person, per night.
. Ask for a quote when booking Chalet Mont Blanc. Chalet Soleil La Plagne France, Without Flights to Without Flights 14th December. Chalet Arpette 1 La Plagne France, Without Flights to Without Flights 14th December. Chalet Arpette 2 La Plagne France, Without Flights to Without Flights 14th December. 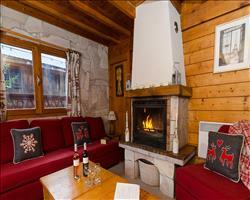 Chalet Marguerite La Plagne France, Without Flights to Without Flights 14th December. 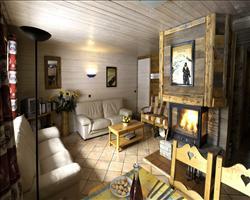 Chalet Becoin La Plagne France, Without Flights to Without Flights 14th December. Chalet Bartavelle La Plagne France, Without Flights to Without Flights 14th December. 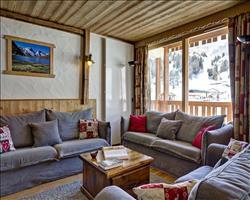 Chalet Florence La Plagne France, Without Flights to Without Flights 14th December. 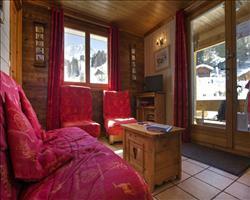 Chalet Sorbier 2 La Plagne France, Without Flights to Without Flights 14th December. 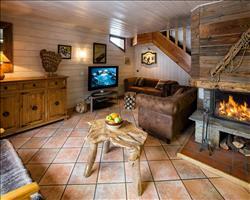 Chalet Lily La Plagne France, Without Flights to Without Flights 14th December. 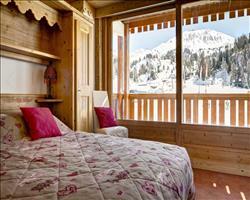 Chalet Rose La Plagne France, Without Flights to Without Flights 14th December. "A good time at the Mont Blanc"
The chalet was good – I’ve only been skiing for a few years and hadn’t been in a chalet before, but had a really good time! The hosts were nice and we had good food every night (mainly French dishes). And with the chalet being quite close to the slopes it was convenient. The upstairs bedrooms were small but pretty good and the social and dining areas worked well for the amount of people staying there. We had a good time. The chalet itself is spot on and we loved it. We just had a couple of issues as the poor chalet lady was really ill - the manager and another man had to come and step in, and it took them a while to get everything together (there were some issues with cleaning). Once they’d sorted it all out they did a good job and everything was wonderful. We had nice big rooms (comparatively speaking as ski chalet rooms are generally quite small). No problems with the location as there’s a little ski lift right outside the door and we had enough snow in April that we could ski down. "Well looked after, superb food"
We were very well looked after by James and Emily at chalet Mont Blanc, it was so nice to have nothing to do!. The food was superb and they answered all our questions on resort or snow conditions or runs on the piste map. We had two vegetarians and two kids under 10 and we all felt very well fed and looked after. Thank you very much James and Emily. If we come back we will look forward to seeing you again for a re match of trivial pursuits (goggles optional). Thanks again guys. Kind regards Mark and Fay and all the Rivers party. Chalet Mont Blanc is in a great location. This is the second year we have stayed with this chalet company. Once again, a fantastic holiday, brilliant childcare, really enjoyed it, thank you! Our chalet host, Zoe's cooking was beyond what I was expecting. A pleasant surprise and she maintained the high standard through every meal.